Stories from the Road is a collection of stories about my own photographic adventures in South Asia. Sometimes the stories are exciting and sometimes mundane and at times emotional. I hope you enjoy the pictures and the story. I have a sort of love/hate relationship with dogs. I love dogs and I think they are so cute and can be sweet. However, I also can be scared to death of them. I have encountered some mean dogs. As a child we had a small dog and it would bite you every time you went in the backyard. As a child, I also saw a boy get attacked by a couple of dogs. Furthermore, in both the States and India I have been chased by dogs. Now, however, I am a dog owner. 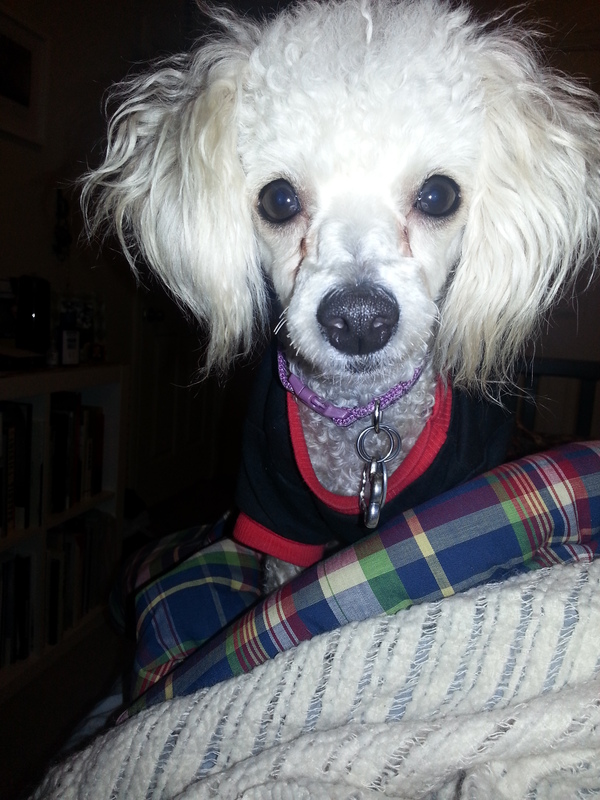 I have the cutest Toy Poodle, her name is Sydney Sue Poodle. When I am traveling I see the little puppy dogs and I think of Sydney. I took the photograph above because I thought it was interesting that a man had taken this puppy on as a pet. My mom and I were walking through Old Dhaka. I had specifically wanted to walk down a street called Hindu Street. Only a small percentage of the population of Bangladesh is Hindu and I wanted to see how the community compared with the vast Hindu population in the neighboring country of India. Hindu Street had everything you would need. There were multiple Hindu temples and shrines lining the street, along with people selling worship and devotional items. As you can see in the photograph, the man that has taken the dog in is selling posters of deities and holy men, as well as, coconuts for offerings. The puppy sits there as if on guard. I simply think he is adorable in his over-sized collar. Everything surrounding the little dog seems to be as big as he is. It is nice that in this big, overcrowded world a man has taken on the responsibility of raising the puppy. 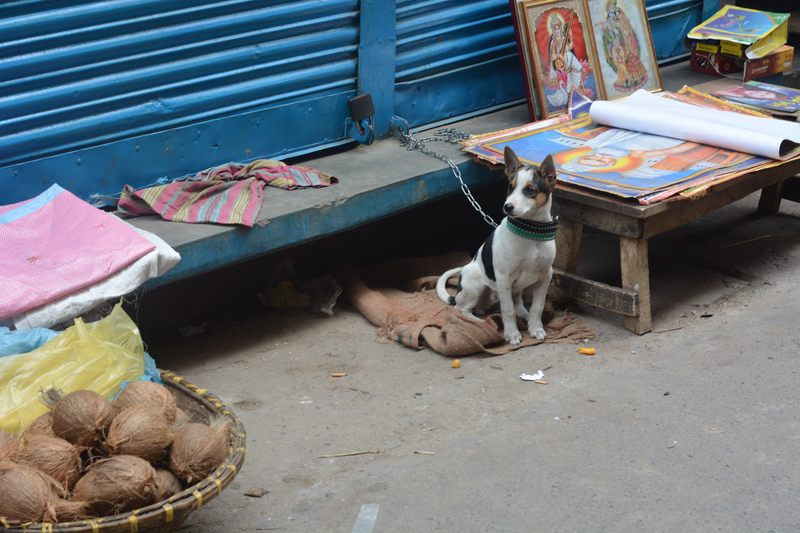 As I walked down Hindu Street taking in all the familiar sights and sounds, it was this common act of loving a pet that focused my attention and made me want to take a photograph. Until recently, I had this photograph framed and on a shelf. I am such a sap. And as the days pass here in the States and I approach my leaving date, I am deeply saddened by the fact I have to leave Sydney Sue Poodle behind. However, she will be going to a fabulous new home with people who I trust and know will love her. She is the best dog ever. This one is for you Poodle, may everyone find the love I found with you. And I hope everyone stops and takes notice of the small joys in life and photographs them.